Salmonberries grow on bushes of up to six feet tall with broad, fuzzy leaves and thorns. The thorns can be soft and yielding or firmer, posing a threat to clothing and unprotected body parts. 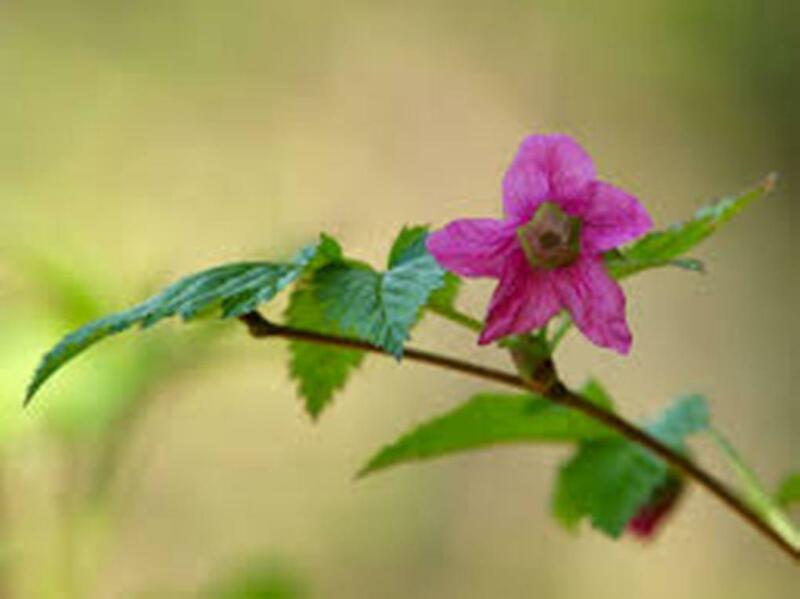 Salmonberries carry small pink flower which when matures turns into fruit. They usually mature between June and August. 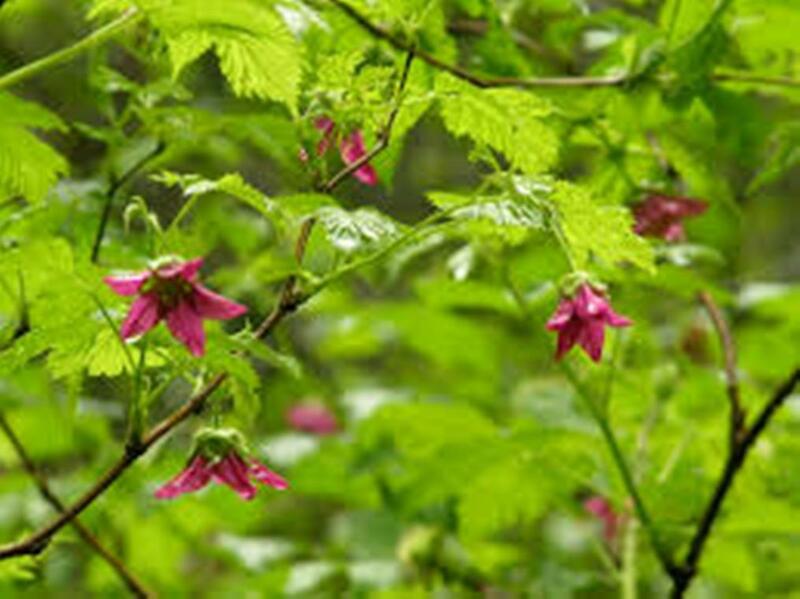 This plant will usually be found along streams and in moist forests, it will prefer damp soil and partial sunlight. 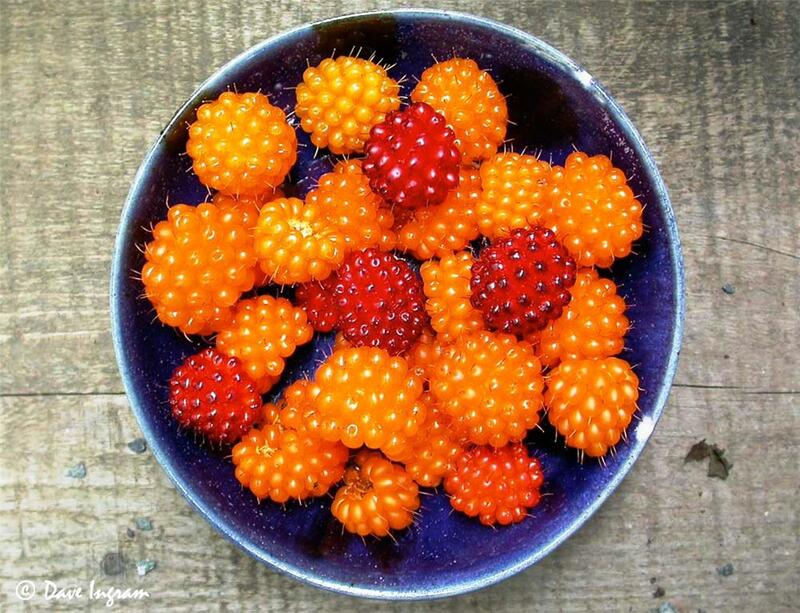 Many of the salmonberries which are available come in orange variety and are quite tasty. The dark reddish berry is not as tasty as is orange one. 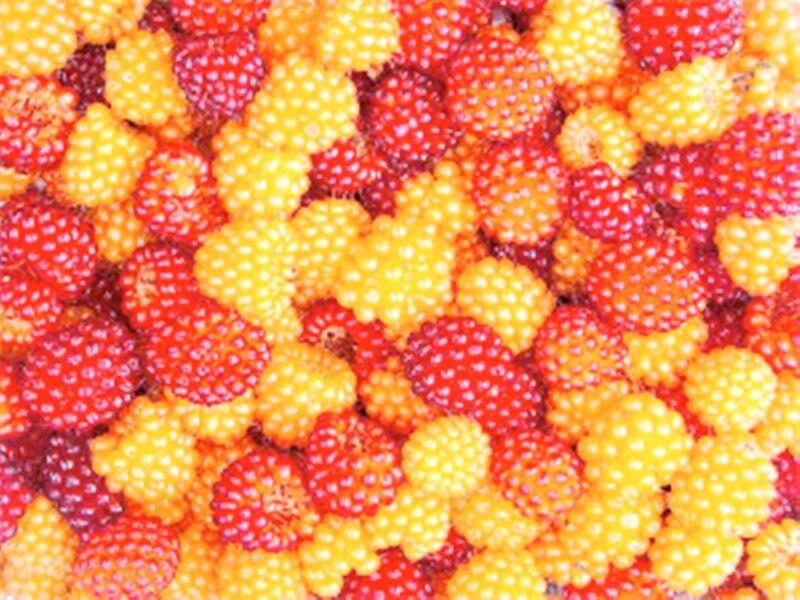 Salmonberries are the rich source of Vitamin C, due to this they are slightly tart and dry flavour. Large numbers of antioxidants are contained in it. It is usually served with a variety of other wine fruits. 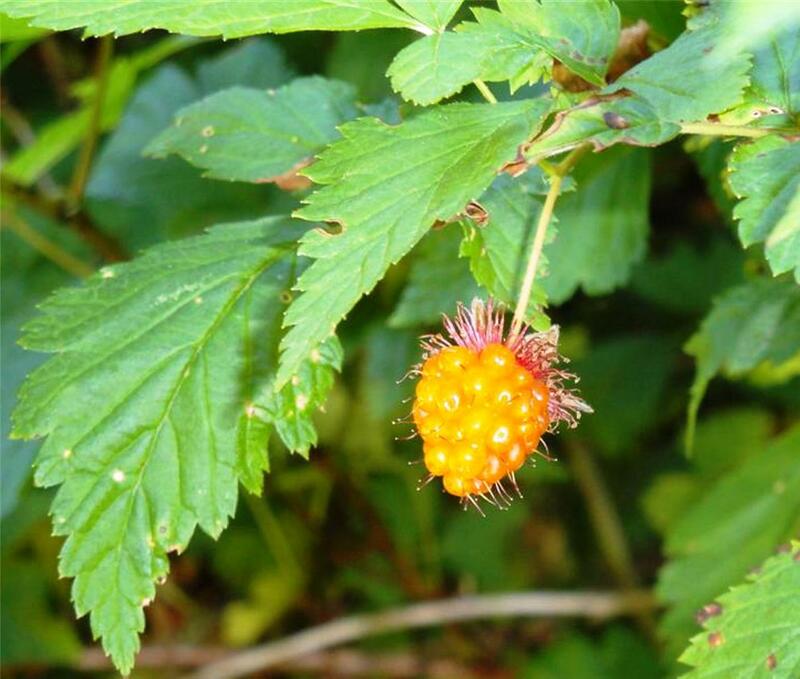 This listing is for 20 seeds of British Columbia Wild Golden Raspberry (Salmonberry) Plant. The seeds were freshly harvested in last fall on Vancouver Island, and tested viable good for planting. We ship to all countries, but cannot be held liable if shipments are held up or retained in your Customs.